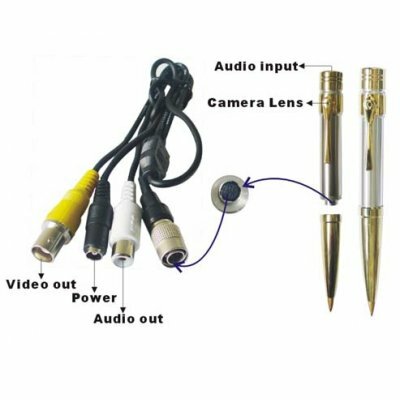 Successfully Added Mini Wired Audio Camera & Pen to your Shopping Cart. Mini Wired Audio Camera & Pen. It looks like a normal pen, but inside is a build-in CCD Video Camera. With its high quality and performance, the low wholesale cost of this product is impressive. This is for real professionals! Take it everywhere inside, nobody will guess this is a surveillance camera. Take it out, connect it to the cables and record it to your recording device.